On May 3, the Fisheries Council of Canada (FCC) appeared before the House of Commons Standing Committee on Fisheries and Oceans and called for a clear and stable policy framework that will instill confidence to invest and support conservation. The Standing Committee on Fisheries and Oceans is examining Bill C-68, Amendments to the Fisheries Act. The Bill contains extensive amendments to restore lost protections from 2012 and to incorporate modern safeguards. It is part of the government’s review of environmental and regulatory processes. FCC proposed an amendment to the Purpose clause of the Bill to better reference the sustainable use of fisheries as the primary intent of the Act. In terms of reconciliation, FCC pointed to the findings of the recent Ahousaht et al decision by the B.C. Supreme Court. FCC believes there needs to be a clear process for involvement of other impacted stakeholders in co-management negotiations and a process in place to avoid a patchwork approach to management of a resource that undermines overall sustainability. In line with the court decision and the Crown’s own arguments in the case, FCC strongly believes the government needs to adhere to a willing-buyer/willing-seller policy as it has done historically for licence/quota reallocations. FCC looks to how the new regulatory provisions can contribute to greater stability of access and thereby instill confidence to invest and support conservation. Recent comments made by Liberal Member of Parliament Nick Whalen show a clear bias towards the oil and gas industry and a complete misunderstanding of the purpose of marine conservation, the FFAW-Unifor recently said in a press release. The comments followed public outcry over a decision to permit oil exploration in a conservation area closed to fishing. Whalen’s assertions that either fishing or protection efforts can simply be moved to other areas confirm a lack of understanding of both the fishing industry and marine habitats, the union added. 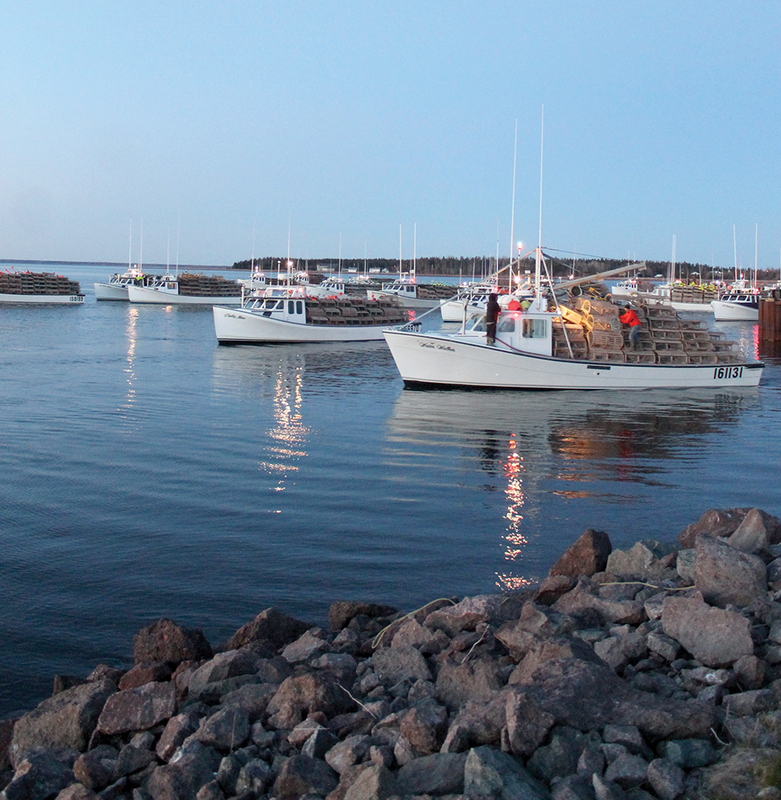 Two people are dead after a fishing boat capsized May 5 off the coast of Port Medway in the Region of Queens Municipality, N.S., reported the Canadian Press. The Joint Rescue Coordination Centre (JRCC) in Halifax says rescuers responded to a call Saturday morning reporting an overturned crabbing vessel. The centre, along with the RCMP, fire departments, and community members scoured the shore and water for about three hours. A 55-year-old woman was found unresponsive on the beach and was pronounced dead after being taken to hospital. A man, also 55, was found near the boat by a vessel and was also unresponsive. The victims have been identified as Richard Moreau and Liz O’Connell. According to reports, the vessel became ensnared in fishing nets while collecting gaspereau and was subsequently swamped in high seas and capsized. Cod processor Icewater Seafoods, located in Arnold’s Cove, has joined the Association of Seafood Producers (ASP), NL’s leading industry trade association representing seafood processors in the province. 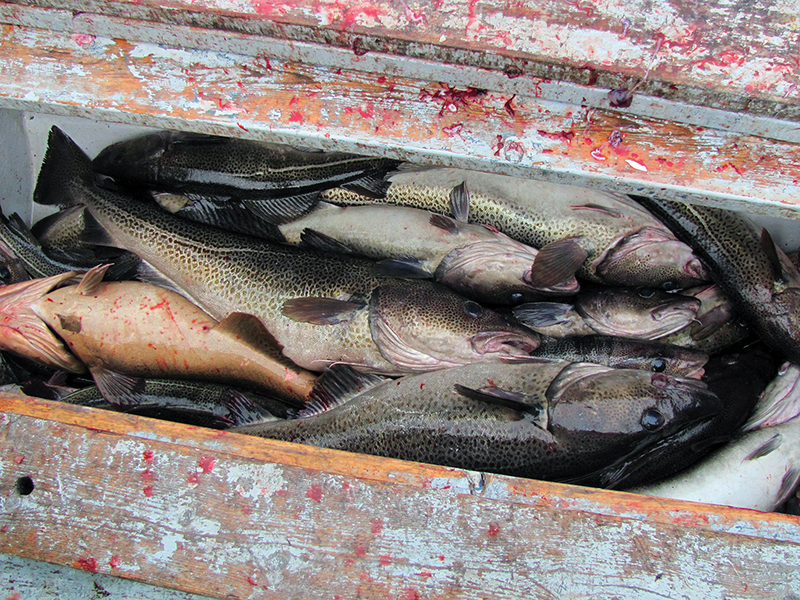 “This is good news for ASP, for strengthening the Association and extending our reach, if you will, not just in terms of cod, but the industry in general, on public policy and a sound approach to fisheries management,” said Derek Butler, Executive Director of ASP. “Alberto and Bruce Wareham are major players in the industry, the stature they possess, the business and community they represent… it is an honour to have them join with us,” Butler said. ASP, founded in 2004, represents the interests of the processing sector, including public policy matters and raw material price negotiations with the FFAW-Unifor. The Association is also on the leading edge in advancing overall fisheries sustainability, helping secure the first MSC-certified fishery in Canada (Northern shrimp, in 2007), and co-leading one of two industry Northern Cod Fisheries Improvement Projects (FIPs). 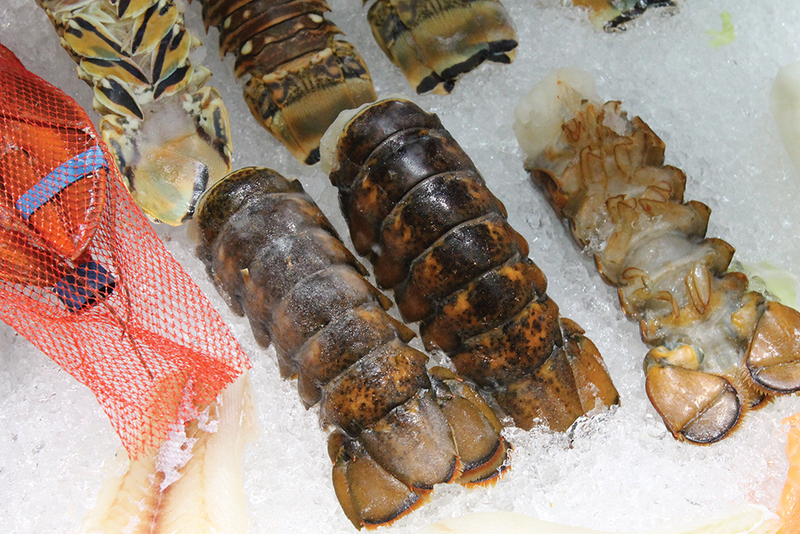 ASP members produce the majority of most shellfish species, pelagics and groundfish in the province. A fundraising campaign has started in the close-knit St. John’s neighbourhood of Shea Heights with the aim of building a memorial to four fishermen lost in a 2016 tragic accident. A September 6 fishing-related accident claimed the lives of four men from that community — three of which were from the same family. The victims were Eugene Walsh, his son Keith Walsh Sr. and grandson Keith Walsh Jr., as well as family friend Billy Humby. Only two of the four bodies were ever recovered. The campaign is being spearheaded by Daphne Evans Walsh who lost three family members and a family friend in the 2016 fishing tragedy. “We want to put the monument there not only for our loved ones we lost, but as a tribute to any fisherman or woman who died at sea whether they were found or not. It’s for everyone across Newfoundland and Labrador,” Walsh told CBC. She is hoping to hold a ceremony to unveil the monument on the second anniversary of the tragedy this September. Workers impacted by this season’s closure of the Daley Brothers Woodman Sea Projects plant in New Harbour were recently advised that employment and training services are being made available at Advanced Education, Skills and Labour Employment Centres throughout the province. The department has been working with the Department of Fisheries and Land Resources to develop an approach to assist these workers. Employees of fish plants owned by Daley Brothers in New Harbour, Trinity Bay are facing uncertainty after being notified that the crab and groundfish plants in the community will not be operating this year. Employees have been offered work at processing plants in New Brunswick that are being managed by the Daleys, and sources says several dozen are expected to accept the offer of seasonal work. Some have also found work at the company’s fish plant in Southern Harbour, Placentia Bay. The New Brunswick provincial government is investing $36,000 to help Paturel International Co. establish a frozen lobster production line at its facility on Deer Island. The project will allow the company to increase production and return more employees to work. The frozen line is expected to start operating in the coming weeks. This will allow the company, which currently employs 36 people on its live production line, to re-establish value-added production and create work for another 26 employees. “Our organization and employees are grateful for the support we have been shown by the government in coping with the challenges to re-establish operations to serve our customers and support employees,” said Stuart MacKay, general manager of Paturel’s operations on Deer Island. A recent fire at the company’s Northern Harbour plant severely affected its processing, packaging and storage facilities. As a result, value-added production opportunities were eliminated. Nova Scotia’s reputation as Canada’s leading seafood exporter was front and centre at Seafood Expo Global in Brussels, Belgium, April 24-26. Fisheries and Aquaculture Minister Keith Colwell lead a delegation to the largest seafood show in Europe that included 15 exhibitors in the province’s booth and another five observers that explored export development by visiting the show. Members of the Southwest Lobster Science Society (SWLSS) say they are “frustrated and disappointed with the lack of direction, miscommunication and overall support from Fisheries and Oceans Canada’s (DFO) regional management” when it comes to the at-sea observer program to monitor bycatch in the lobster fishery being implemented this fall in LFAs 33, 34 and 35. The lobster science society was formed last year by five fishermen’s associations: the Bay of Fundy Inshore Fishermen’s Association, the Maritime Fishermen’s Union, the Coldwater Lobstermen’s Association, the Scotia Fundy Inshore Fishermen’s Association and Brazil Rock 33/34. The group originated when word came down the pipe that a bycatch monitoring program was going to be implemented in the lobster fishery to meet MSC (Marine Stewardship Certification) requirements and to comply with the UN’s Food and Agriculture Organization’s Agreement on Port State Measures to Prevent, Deter and Eliminate Illegal, Unreported and Unregulated Fishing (PSMA), signed in 2010 by Canada. Discussions with industry overseeing the bycatch monitoring program began last August with several meetings with DFO regional management offering guidance and incentive. 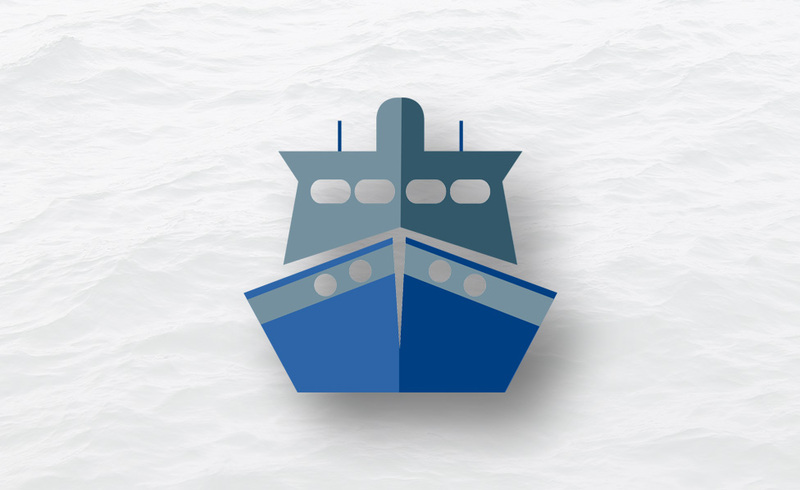 The SWLSS has put together an alternative at-sea observer plan for fishermen in the region that will collect supplementary scientific data to assist in conservation efforts but would do so without enforcing the hail out procedure enforced in other fisheries. The hail out system requires fishermen to phone an automated system at least six hours prior to leaving the wharf. “The six-hour advance notice would create havoc for lobster fishermen as they already contend with two major determining factors for fishing: the weather and the tides. Despite all efforts to work collaboratively with DFO, the SWLSS continues to be led astray on the bycatch monitoring framework and enforcement,” says the SWLSS. Restorative Justice Agreement Signed in P.E.I. The Mi’kmaq Confederacy of Prince Edward Island (MCPEI), the Lennox Island First Nation, the Abegweit First Nation, the Department of Fisheries and Oceans (DFO) and the Public Prosecution Service of Canada (PPSC) recently held a formal ceremony to sign a Restorative Justice agreement that adds Fisheries Act offences to the MCPEI Indigenous Justice program already in place on the Island. This is the first agreement of its kind in Eastern Canada. Restorative justice is an alternative to the traditional court system that allows Indigenous and other groups to use a process based on holistic community values. It is an approach that personalizes the offence by having victims and offenders mediate a restitution agreement — one that often involves the community. This approach considers crime and wrongdoing to be an offence against an individual or community. Under the agreement, members of Lennox Island First Nation or Abegweit First Nation, including those of Mi’kmaq heritage permanently residing on one of the First Nation reserves on P.E.I., may be eligible under predetermined criteria to have their case diverted from the traditional court system. In order to pursue this approach, the offender must accept responsibility for the act that forms the basis of the offence and comply with the provisions of the alternative measures devised by the program. Cases that could be diverted include any offences under the Fisheries Act and other offences on the joint recommendation of the Officer and the Justice Director, with the written consent of the Chief Federal Prosecutor. The DFO National Chief Enforcement Program is currently working on the development of a National Action Plan for restorative justice to become a standard enforcement tool for all regions. No Replies to "On the Waterfront - June 2018"